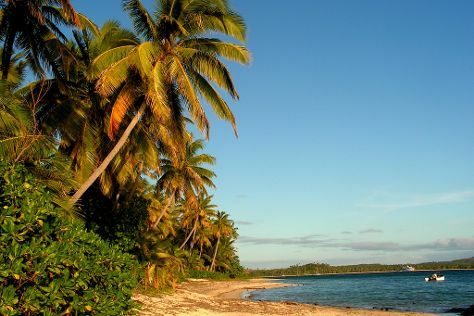 Barely 2 km (1.25 mi) across, the miniscule Mana Island is inhabited only thanks to a handful of resorts, which make the most of white-sand beaches appealing to vacationers from around the globe. Kick off your visit on the 17th (Sun): enjoy the sand and surf at South Beach and then enjoy the sand and surf at Sunset Beach. To see other places to visit, where to stay, maps, and tourist information, go to the Mana Island road trip website . San Francisco, USA to Mana Island is an approximately 16.5-hour flight. You'll lose 20 hours traveling from San Francisco to Mana Island due to the time zone difference. Prepare for much warmer weather when traveling from San Francisco in February: high temperatures in Mana Island hover around 87°F and lows are around 74°F. Finish your sightseeing early on the 17th (Sun) to allow enough time to travel to Suva. 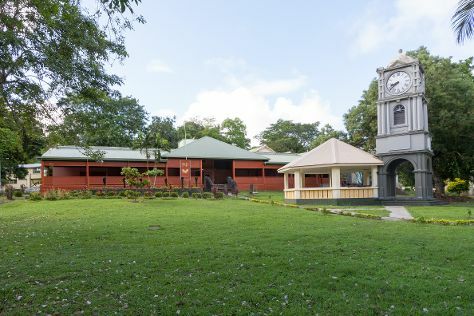 Kick off your visit on the 18th (Mon): browse the eclectic array of goods at Suva Municipal Market, take in the exciting artwork at 21K Gallery, pause for some serene contemplation at Sacred Heart Cathedral, then take an in-depth tour of Fiji Museum, and finally relax and rejuvenate at some of the top local wellness centers. 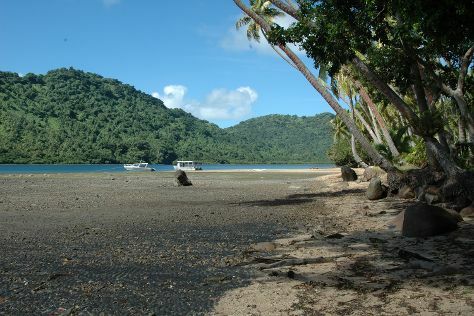 To find photos, reviews, ratings, and tourist information, use the Suva trip planner. Getting from Mana Island to Suva by combination of ferry and flight takes about 4 hours. Other options: do a combination of ferry, taxi, and bus; or do a combination of ferry and bus. In February in Suva, expect temperatures between 88°F during the day and 74°F at night. Wrap up your sightseeing on the 18th (Mon) early enough to take a bus to Pacific Harbour. On the 19th (Tue), look for all kinds of wild species at Wildlife Areas and then enjoy the sand and surf at Paradise Beach. For ratings, reviews, traveler tips, and more tourist information, read Pacific Harbour online driving holiday planner . You can take a bus from Suva to Pacific Harbour in 1.5 hours. Another option is to drive. In February, plan for daily highs up to 87°F, and evening lows to 74°F. Wrap up your sightseeing on the 19th (Tue) to allow time to drive to Sigatoka. On the 20th (Wed), cast your line with a fishing tour and then play a few rounds at Natadola Bay Championship Golf Course. Keep things going the next day: stop by Hot Glass Fiji, get a dose of the wild on a nature and wildlife tour, and then steep yourself in history at Vatukarasa Village. For maps, traveler tips, other places to visit, and more tourist information, go to the Sigatoka vacation maker . Getting from Pacific Harbour to Sigatoka by car takes about 1.5 hours. Other options: take a bus. In February, daytime highs in Sigatoka are 87°F, while nighttime lows are 74°F. Finish your sightseeing early on the 21st (Thu) so you can travel back home.